For some reason, Mull has never been on the top of my list. There always seems to be somewhere with a bigger draw, perhaps related to surf appeal. So this time Mull was the destination and I ordered a couple of OS maps to get an idea of where to go. We were packed in the car rather than the other way around (van time beckons) and set off for the Corran ferry. We decided to take the route through Morvern as it’s always nice to follow new paths and there are few things that beat the drama of driving through Glencoe. We arrived on Mull after a second ferry crossing from Lochaline to Fishnish and headed straight down to the campsite at Fidden Farm in the South West corner. Wow what a spot! 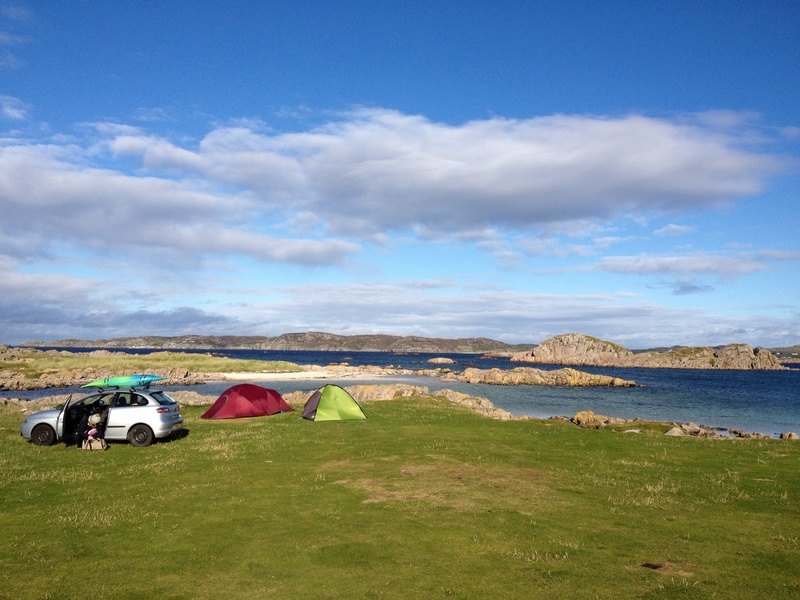 Pitch your tent on the very edge of a rugged coastline with stunning views over to Iona. You feel like you are wild camping only with a toilet/shower block 5-10 minutes walk (depending on where you decide to pitch). The forecast for the day had been rain for the drive up but we managed to get our tents up before the heavens opened. Dressed in our finest waterproofs we headed to the local pub/restaurant (Keel Row) and were picked up in the farm owners truck a few steps into the 2 mile journey as he spotted us walking in the pouring rain. What service! After a delicious meal we sampled some whisky in the bar with the local fisherman and shared (tall) tales of adventures. We had planned to spend the second night on top of Ben More but were put off partly by the wind on the Sunday morning but also by just how lovely the campsite was. 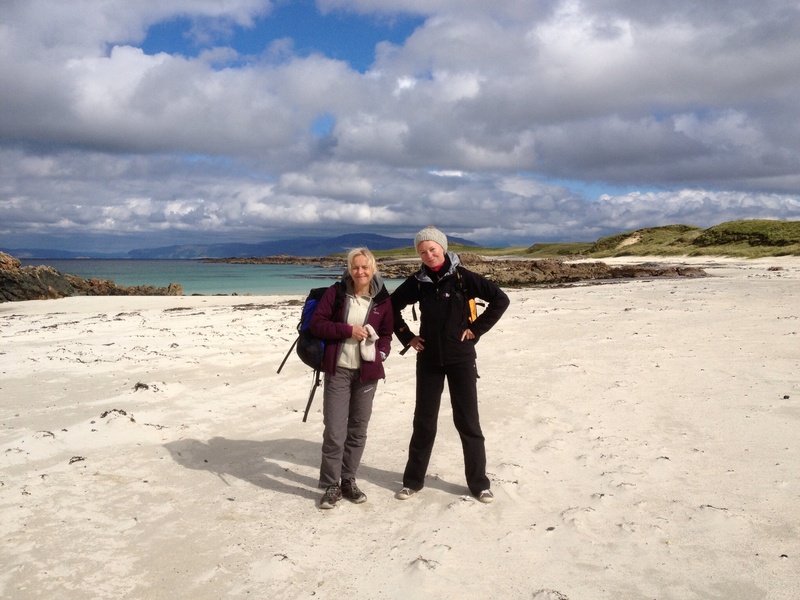 We decided to stay put and head across to Iona for the day. Surrounded by tour bus groups walking onto the ferry, wasn’t sure it was going to be my cup of tea but we escaped the crowds and headed to the north of the island. 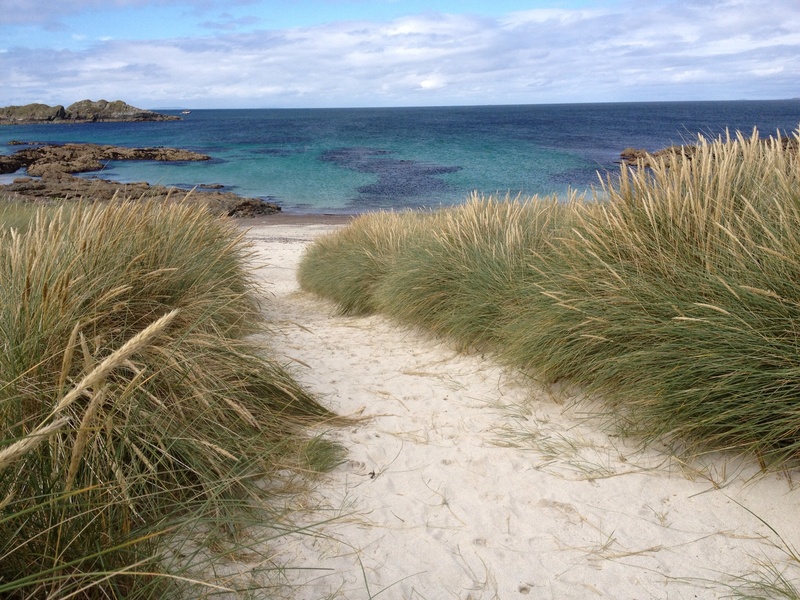 Absolutely stunning beaches, no people and some of the finest beach pebbles around. 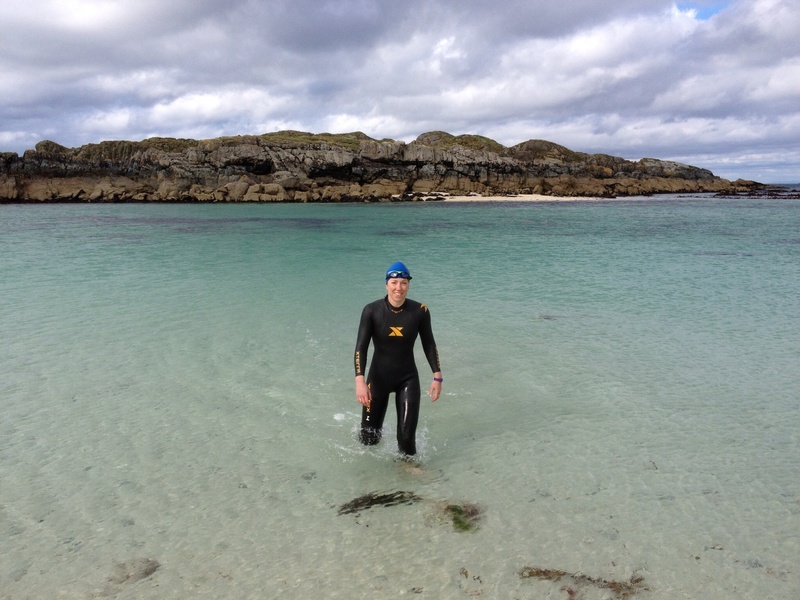 I got into my wetsuit, swam to a close by island, scrambled over the top and then swam back to the white sand. The water was crisp but clear with views of kelp and jellies with tentacles. Then it was time to drag the others in for the September dip, this time no wetsuits allowed. Back on Mull we went back to Keel Row and were greeted by the locals from the night before. They asked how we’d got on visiting the Fossil Tree and deep water solo climbing the granite on Erraid. We’d obviously had grand plans the night before but not the time to do everything. After a quick bite we headed back to the campsite and Julie and I went out for a sunset paddle. 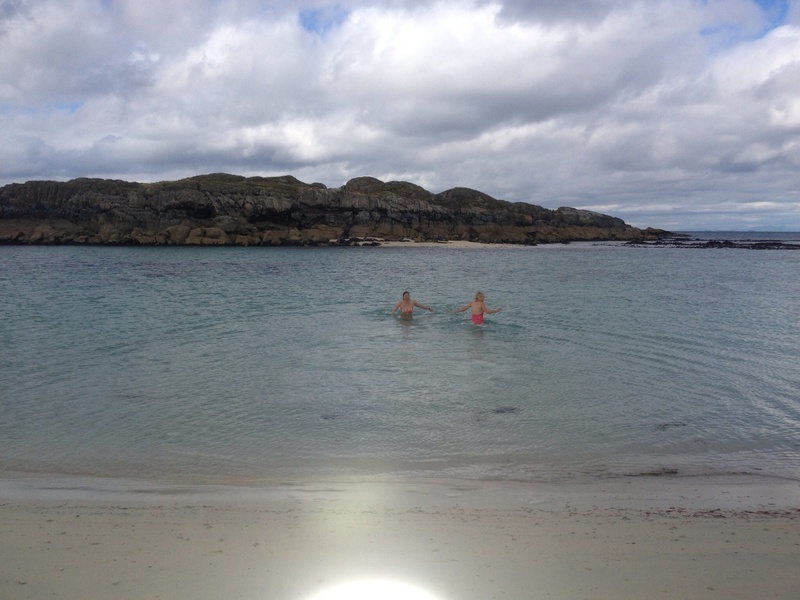 I couldn’t resist the lure of the clear water and ended up doing dip #2 diving off a ledge on Erraid. We we got a cracking fire going and enjoyed the clear night; it would have been perfect for a summit camp after all. 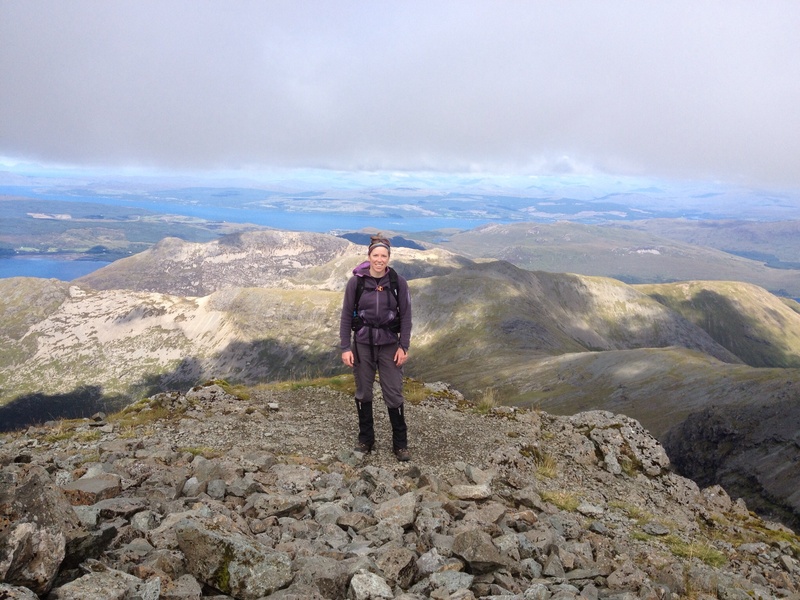 On Monday we made it up Ben More to some cracking views of Arran, Rum, Tiree, the Cuilins and Ben Cruachan. 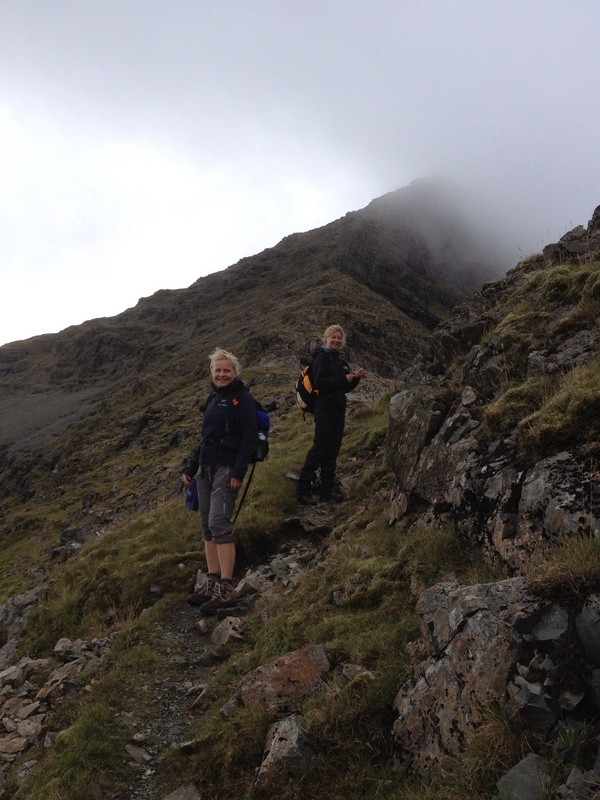 We were tight for time with the last ferry but decided to descend via the A’Chioch ridge which was worth it. A bit of a bog fest but at least that was a bit softer on the joints! No sea eagles but we spotted a couple of golden eagles gliding above the lower slopes. So after not expecting too much of Mull, we didn’t make it out the bottom corner and didn’t manage to do everything we’d planned in just that spot. The coastline is rugged and dramatic, the geology fascinating, and the sea needs further exploring. I sense a future ‘fishing’ trip destination as it certainly deserves more than a long weekend. 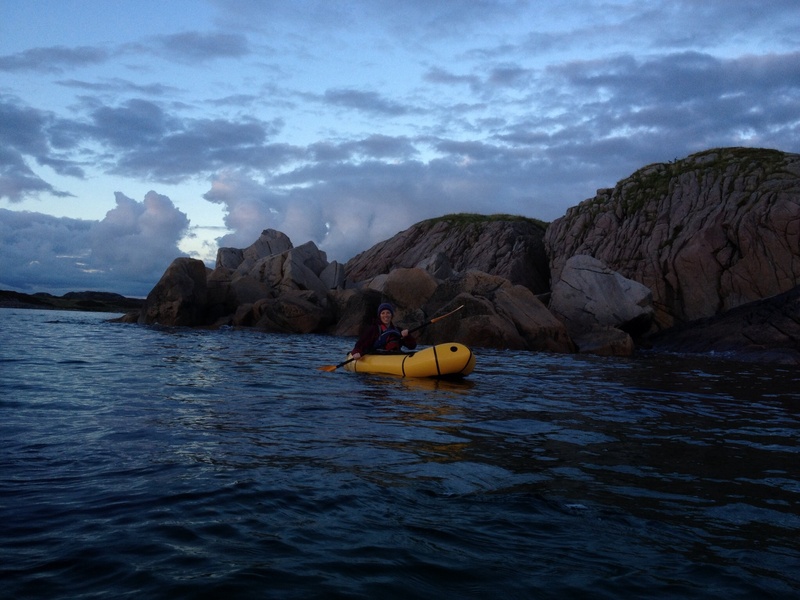 This entry was posted in Outdoors and tagged Mull on 01/10/2013 by Mangoventures.